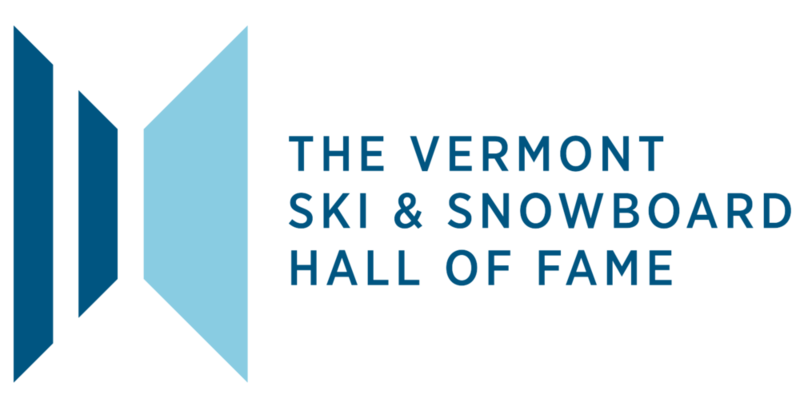 The Vermont Ski & Snowboard Museum (“the Museum”) provides this website in support of its mission to serve as a cultural and educational resource for everyone. BY ACCESSING THE MUSEUM WEBSITE, YOU ACCEPT WITHOUT LIMITATION OR QUALIFICATION THESE TERMS AND CONDITIONS (the “Terms and Conditions”). THE MUSEUM MAY REVISE THESE TERMS AND CONDITIONS AT ANY TIME, WHICH REVISIONS SHALL BIND YOU. IF YOU DO NOT WISH TO BE BOUND BY THESE TERMS AND CONDITIONS, PLEASE EXIT THE MUSEUM WEBSITE NOW AND REFRAIN FROM FURTHER USE. The names, titles, trademarks, service marks, and logos that appear on the Museum website are registered and unregistered marks of the Museum, including Art + Environment (“The Museum Trademarks”). You may not use the Museum Trademarks without the Museum’s prior, written permission. The trademarks of third parties may also appear on the Museum website from time to time; you may not use these trademarks without prior, written permission of their respective owners. You acknowledge and agree that nothing on the Museum website grants, expressly or implicitly, by estoppel or otherwise, any right or license to use any of the Museum Trademarks or may be construed to mean that the Museum has authority to grant any right or license on behalf of any third-party trademark owner. Images, text, software, documentation, electronic text and image files, audio and video files and clips, and other materials on the Museum website are protected by copyright laws and may be covered by other restrictions as well. The Museum retains all rights it may hold, including copyright, in data, image, text, and any other information contained in these files. Copyrights and other proprietary rights in the material on this website may also subsist in individuals and entities other than, and in addition to, the Museum. The Museum expressly prohibits the copying of any protected materials on this website, except for the purposes of fair use as defined in the copyright laws, and as described below. Fair use of copyrighted material includes the use of protected materials for noncommercial educational purposes, such as teaching, scholarship, research, criticism, commentary, and news reporting. Unless otherwise noted, users who wish to download or print text, audio, video, image and other files from the Museum’s website for such uses are welcome to do so without the Museum’s express permission. Users must cite the author and source of this material as they would material from any printed work; the citation should include the URL “VTSSM.com”. By downloading, printing, or otherwise using text, audio, video, image and other files from the Museum website, whether accessed directly from this website or via other sites or mechanisms, users agree that they will limit their use of such files to fair use, and will not violate the Museum’s or any other party’s proprietary rights. Unauthorized publication or exploitation of the Museum’s files is specifically prohibited. Anyone wishing to use any of these files or images for commercial use, publication, or any purpose other than fair use as defined by law, must request and receive prior permission. All requests to reproduce works of art from the Museum’s collection should be made with the Museum by contacting them at 802-353-9911 or info@vtssm.com. All rights not expressly granted by the Museum herein are specifically and completely reserved. Nothing on the Museum website or in these Terms and Conditions grants, expressly or implicitly, by estoppel or otherwise, any right or license to use any content or property of any third party, or may be construed to mean that the Museum has authority to grant any right or license on behalf of any third party. By using the Museum website in any manner, you represent and warrant that your use will be consistent with these Terms and Conditions, including Fair Use. You agree to indemnify, defend, and hold the Museum, its affiliates, trustees, directors, officers, employees, or agents harmless from all claims, causes, costs, expenses, fees (including reasonable attorneys’ fees), judgments, liabilities, losses, and damages arising from or relating to your use of the Museum website. THE MUSEUM PROVIDES THE SITE ON AN “AS IS” BASIS. YOUR USE OF THE SITE, CONTENT, AND COMPILATION IS AT YOUR OWN RISK. THE MUSEUM DISCLAIMS ALL WARRANTIES OF ANY KIND, WHETHER EXPRESS OR IMPLIED, INCLUDING BUT NOT LIMITED TO THE IMPLIED WARRANTIES OF MERCHANTABILITY, FITNESS FOR A PARTICULAR PURPOSE, COPYRIGHT OWNERSHIP AND/OR NONINFRINGEMENT OF COPYRIGHTS OR OTHER THIRD PARTY PROPRIETARY RIGHTS. THE MUSEUM DOES NOT WARRANT THAT THE SITE WILL PROVIDE CONTINUOUS, PROMPT, SECURE, OR ERROR-FREE SERVICE. THE MUSEUM MAKES REASONABLE, ONGOING EFFORTS TO REVISE AND UPDATE THE SITE, BUT ASSUMES NO LIABILITY FOR ANY ERRORS OR OMISSIONS, INCLUDING THE INACCURACY OF CONTENT, OR FOR ANY DAMAGES OR LOSSES THAT YOU OR ANY THIRD-PARTY MAY INCUR AS A RESULT OF THE UNAVAILABILITY OF THE SITE. THE MUSEUM ASSUMES NO RESPONSIBILITY, AND SHALL NOT BE LIABLE FOR, ANY DAMAGES TO, OR VIRUSES MAY AFFECT, YOUR COMPUTER EQUIPMENT OR OTHER PROPERTY ARISING FROM YOUR USE OF THE SITE, INCLUDING BUT NOT LIMITED TO THE REPRODUCTION OF THE CONTENT OR COMPILATION. NEITHER THE MUSEUM, ITS AFFILIATES, TRUSTEES, DIRECTORS, OFFICERS, EMPLOYEES, OR AGENTS SHALL HAVE ANY LIABILITY FOR ANY DAMAGES, INCLUDING WITHOUT LIMITATION, ANY DIRECT, INDIRECT, INCIDENTAL, COMPENSATORY, PUNITIVE, SPECIAL, OR CONSEQUENTIAL DAMAGES (EVEN IF WE HAVE BEEN ADVISED OF THE POSSIBILITY OF SUCH DAMAGES) ARISING FROM OR RELATED TO YOUR USE OF THE SITE, CONTENT, AND/OR COMPILATION. You acknowledge and agree that in the event any provision of these Terms and Conditions shall be held by a court of competent jurisdiction to be invalid, unlawful, or unenforceable, in any respect, the validity, legality, and/or enforceability of the remaining terms and conditions contained herein shall not in any way be affected or impaired thereby. In such event, the parties agree that such invalid term(s) or condition(s) shall be validly reformed by the court to as near approximate the intent of the parties as reflected in the provision, and if unreformable, shall be severed and deleted from these Terms and Conditions. The Museum’s failure to exercise or enforce any right or provision of these Terms and Conditions shall not constitute a waiver of such right or provision unless agreed to in writing by The Museum. These Terms and Conditions and any counterparts, amendments, or revisions thereto shall be governed and construed in accordance with the laws of the State of Vermont, without regard to principles of conflicts of laws. Any case, controversy, suit, action, or proceeding arising out of, in connection with, or related to this Agreement shall be brought in any Federal or State court located in the State of Vermont, and the parties hereby waive any objection that they may have to personal jurisdiction in these courts. These Terms and Conditions are the complete statement of the agreement of the parties with respect to the subject hereof and supersede all prior agreements and understandings between the parties hereto with respect to the subject hereof. In order to be binding, any amendment or modification of this Agreement must be affected by an instrument in writing signed by the parties.